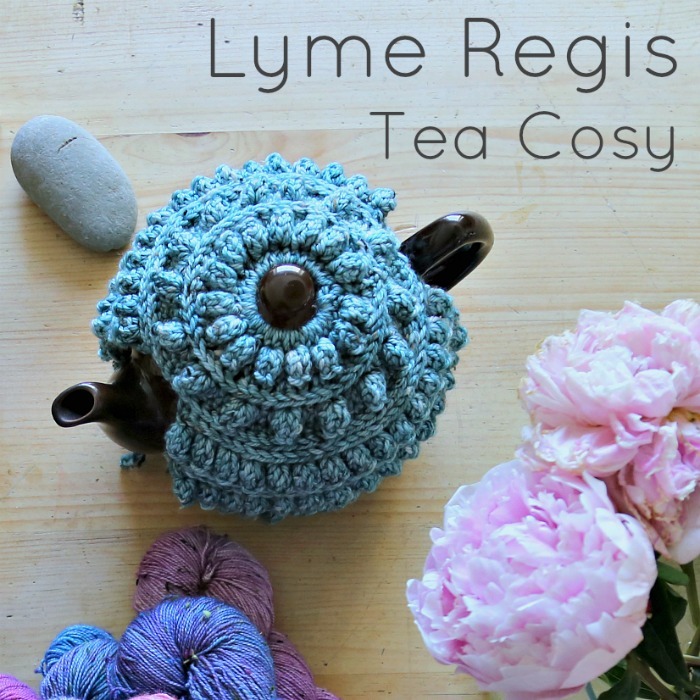 The Lyme Regis Tea Cosy is a simple, textured cosy made with less than 100g of worsted weight yarn. 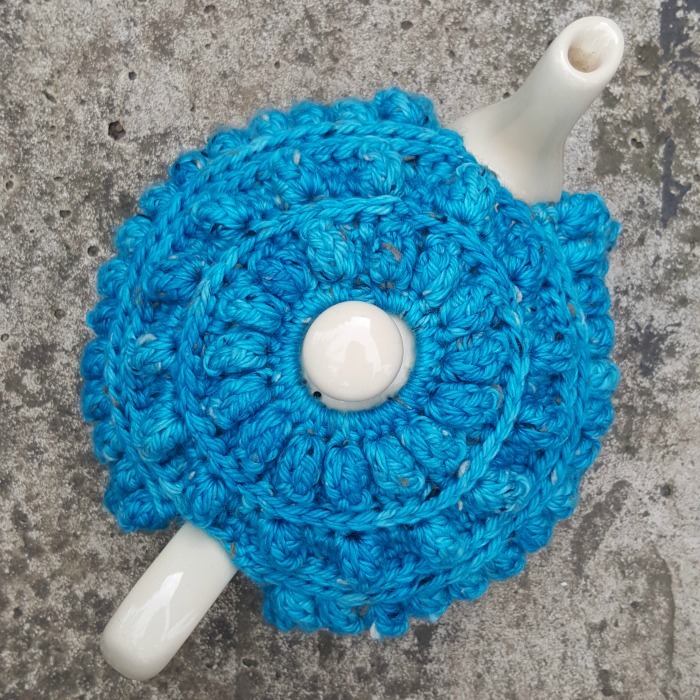 It is my second tea cosy design and I love it as much as the first. 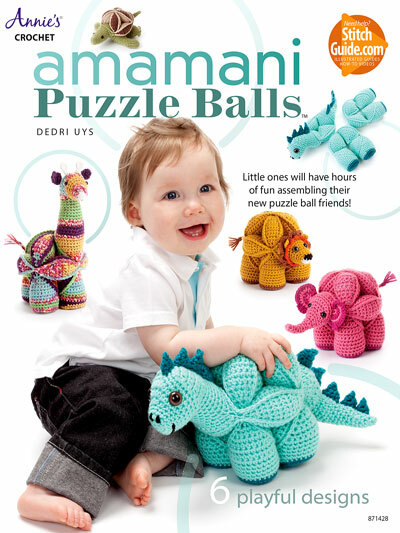 This pattern first appeared in Issue 90 of Inside Crochet, published in May last year. Below you will find the column that accompanied the pattern (The Cup-of-Tea Bit), as well as the pattern. 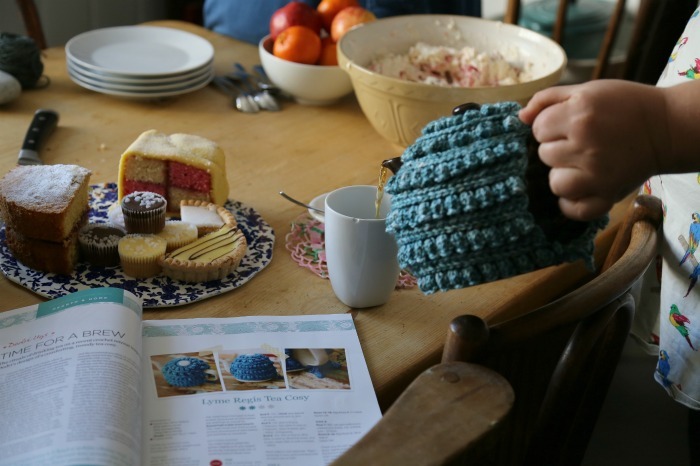 If you are eager to get the pattern, scroll down to Lyme Regis Tea Cosy Pattern. 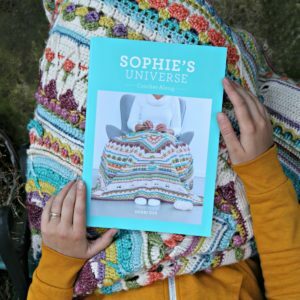 When printing/saving this pattern using the print-friendly button (bottom right below my signature), you can click on any irrelevant text and photos to remove them. Everyone has their own rituals when it comes to making and drinking tea, whether it be an elaborate Japanese tea ceremony or something as simple as tapping your spoon on the side of your cup 3 times before placing it back in the saucer. Some people have to drink their tea out of the same cup every time and some people have to have their biscuits arranged just so. Christiaan’s grandfather, impatient for his tea to cool down, used to tip his tea into his saucer and drink it straight from there. As a little girl, we had very specific coffee and tea rituals. When we went to visit my grandparents, we would each get a cup of coffee – in our own special mugs – and as many rusks as we could sneak past my granny’s ever-watchful eye. When we went to visit my great grandma and her sister, we would be served tea and rich tea biscuits, again in specific cups. Mine was a white china cup with straight ridged sides. To this day, a scalding cup of sweet tea sends me right back to that dark, cosy kitchen with its face-powder-and-tea smell. 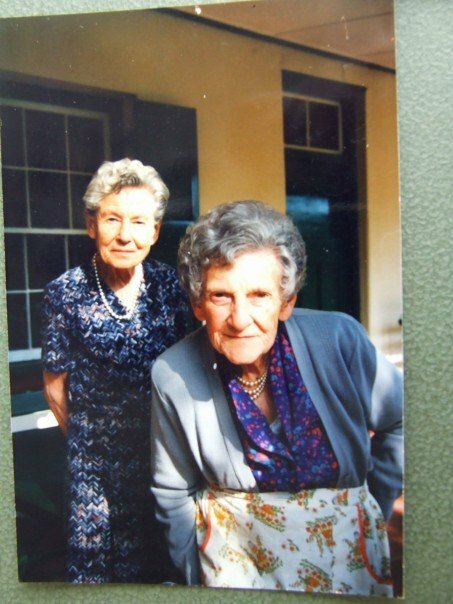 Ouma Dalina (great grandma – right) and Aunty Dollie (her sister – left), known collectively as Ouma Delol – sometime in the 90’s. Later tea rituals included infusing my tea with scented geranium leaves ‘just like my mom’, and summer-dusk tea-drinking on my (much older) friend Jeanette’s ‘stoep’. When I first met Christiaan, our relationship was dotted with cups of tea served from a tea-cosy-covered teapot. Then children happened, so we survived on snatched gulps of cold coffee and the occasional tea when we ran out of coffee. 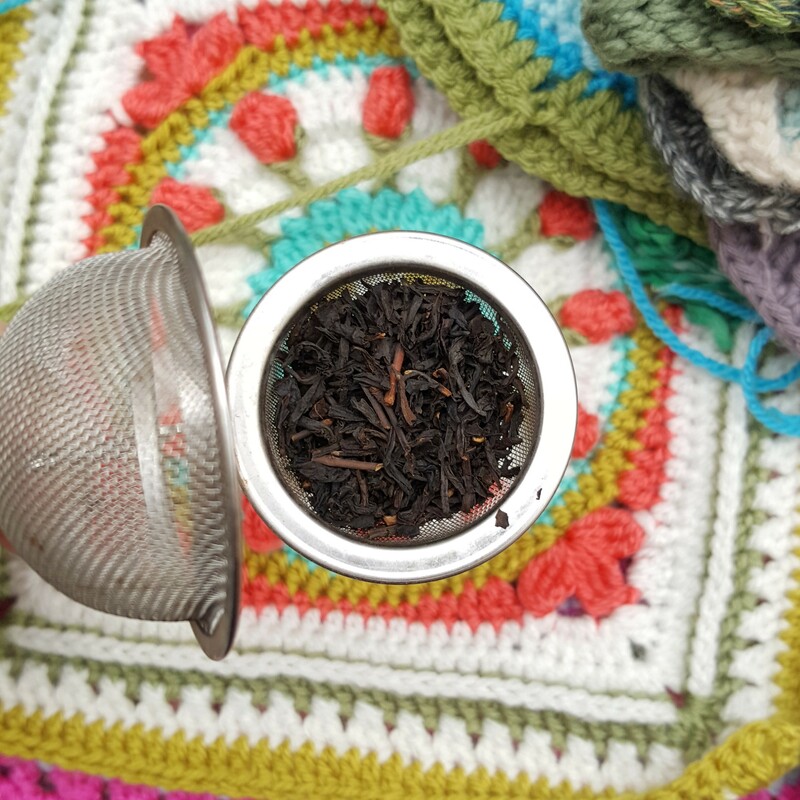 We have recently restarted the ‘ritual of the teapot’, complete with a cosy. All my earlier tea memories were about the drinking, not the making, and lately, I find myself focusing more and more on the actual making of the tea. The process starts the minute I order the tea. I buy my tea almost exclusively from tea-shirt.co.uk. Their teas are delicious, ‘happy’ (organic), and elegantly packaged. Choosing which tea to make on a specific occasion is also a big part of the process. Do I feel like having Rooibos (no caffeine) or Ginger and Lemon? Am I feeling grown-up? Earl Grey it is, then. Nostalgic? Then the wood-smokey scent of Lapsang will throw me back into childhood quite viscerally. Now the tea-egg: do I use the stained yellow submarine left behind by a colleague years ago, or do I use my little metal sieve? 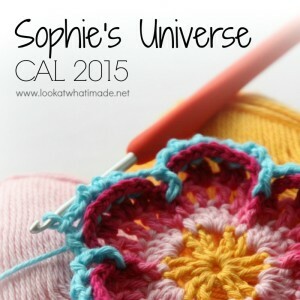 Finally, the tea cozy – and that’s where this month’s pattern comes in. Sitting in the Kitchen in Lyme Regis at last year’s Devon Sun Yarns retreat, watching the ladies indulge in their various tea ceremonies, I realized that I would like to remember the camaraderie of the moment (and the slightly overcast sky) when I was drinking tea back home in London. 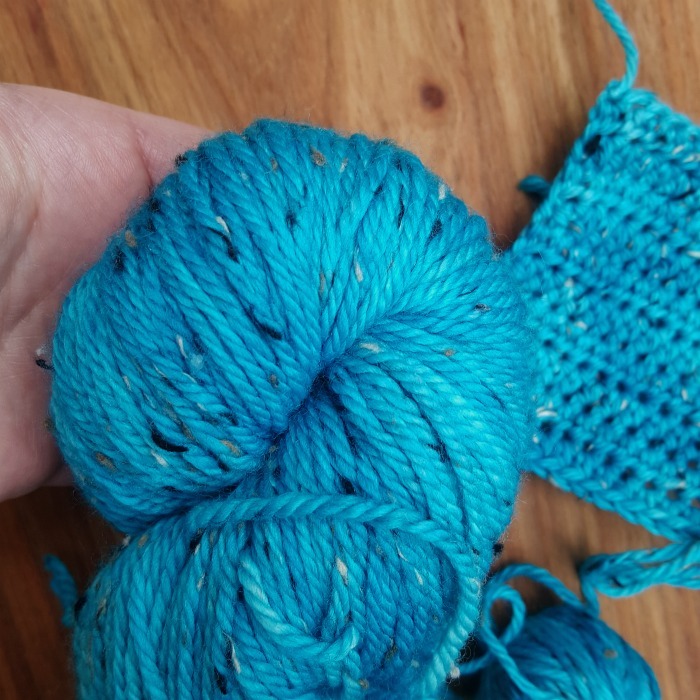 For me, the tweed yarn gives this pattern a cosy feel, and the texture of the stitches is happy in a melancholy way, reflecting the nostalgia of that shared moment. 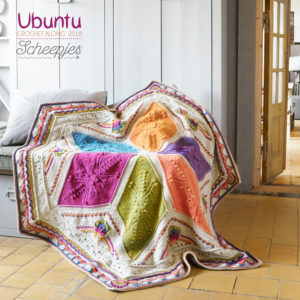 © Dedri Uys 2017 for Inside Crochet Issue 90. All Rights Reserved. 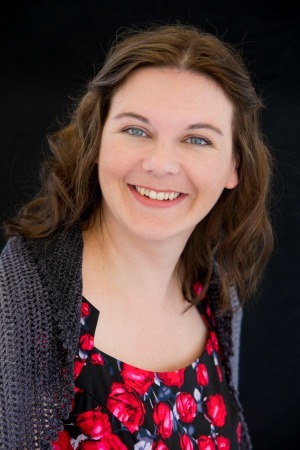 Pattern checked by Kay Crone. A US Terminology written-only pattern is available HERE as a paid PDF (for a small fee). 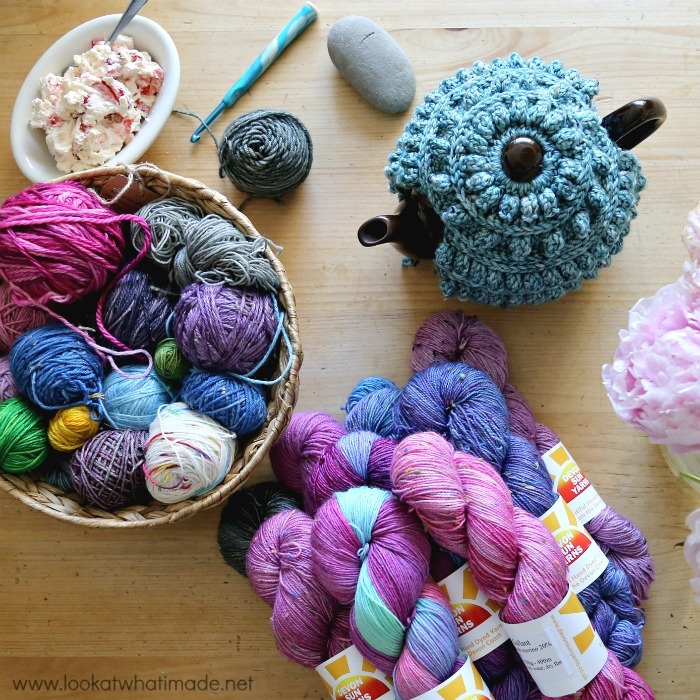 Alternatively, you can use any tweed/flecked, Aran/Worsted weight yarn to achieve a similar effect. Look at those lovely flecks! 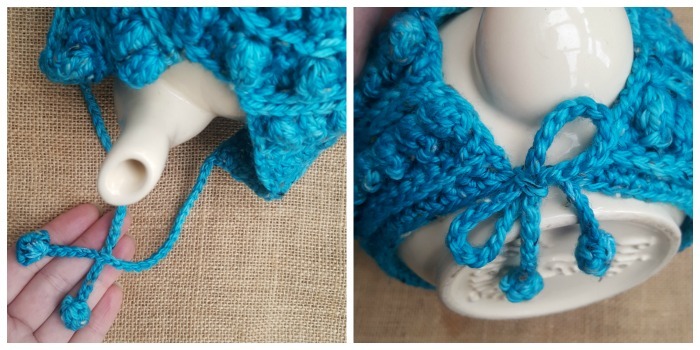 Bobble – Yarn over and insert your hook into the indicated st. Yarn over and pull up a loop, yarn over and pull through 2 loops. 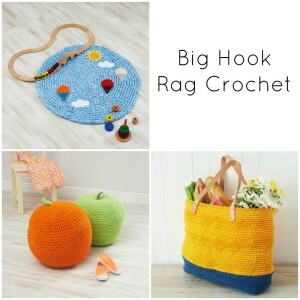 (Yarn over, insert your hook into the same st, yarn over and pull up a loop. Yarn over and pull through 2 loops) 4 times. There should be 6 loops on your hook. 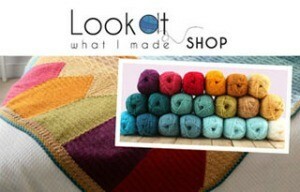 Yarn over and pull through all 6 loops. Popcorn – Make 5 dc in the same stitch. Remove your hook from the last stitch. Insert your hook into the first dc of the 5 dc-group. 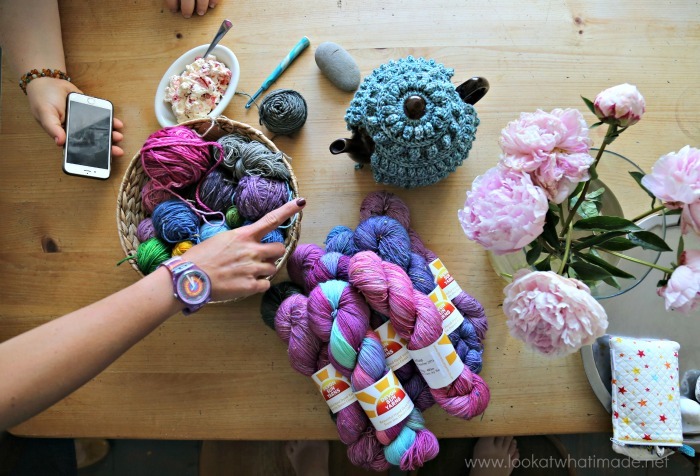 Grab the last stitch with your hook and pull it through the first stitch. 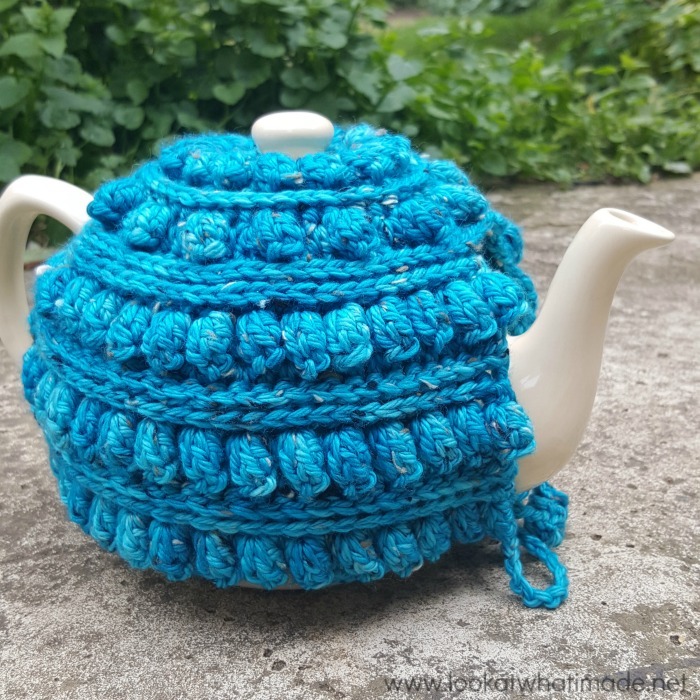 I made my tea cosy to fit a 6-cup (1100ml) Price & Kensington teapot (available from Amazon.com and Amazon.co.uk). 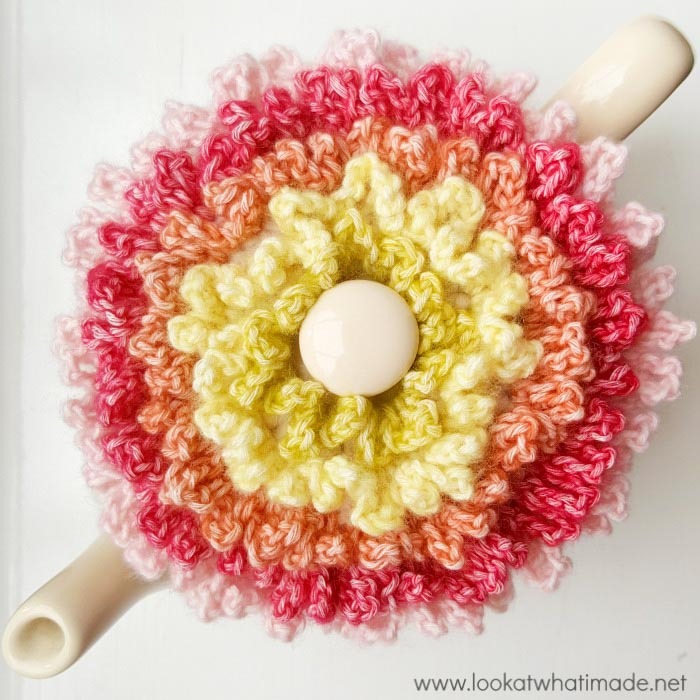 You might have to adapt this pattern slightly to fit your teapot. 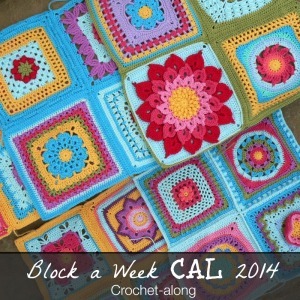 You can do this by changing your hook size or by making more/ fewer rows. 18 sts and 10 rows per 10 cm/4″, using a 5.5mm crochet hook (or hook needed to obtain gauge) and hdc. Ch 14. Join to the first ch with a sl st to form a ring. You will now make the sides in 2 separate ‘flaps’, working in rows and turning at the end of every row. Rows 12 – 19: Repeat Rows 8 to 11 twice. Fasten off. Rows 8 – 19: Repeat Rows 8 – 19 of Side A. Fasten off. Check that your cosy fits over your teapot. Pull the sides down slightly and check that they reach the bottom of the handle and spout. If you need to add more rows, do so now following the repeats above. You will now be joining sides A and B to each other by working into every st of Side A and every st of Side B.
Ch 4, make a Bobble in the 4th ch from the hook. Ch 25. With RS facing, sc in each st of the last row of Side A, then sc in each st of the last row of side B. Ch 29, make a Bobble in the 4th ch from the hook. Fasten off and work away your ends. You should end up with two ‘ties’, each ending in a Bobble. Place the cosy over your teapot. Tie the ‘ties’ into a bow to secure the cosy to your teapot. 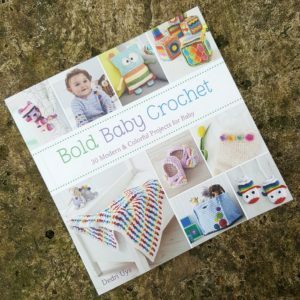 If you share photos of your finished project, please use #lymeregisteacosy so that I can find them. 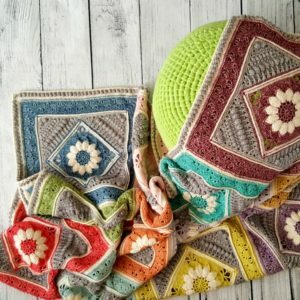 If you are looking for a different kind of cosy design, you can have a look at my Floral Tea Cosy design for Little Box of Crochet. This is so pretty, the blue really caught my eye right away. I make tea for my family every day after dinner and this would perfect! Thank you Shehla. How have you been? I always enjoy going through your newsletters, and when I can’t, I save them for a rainy day. In fact, you have your very own folder in my inbox. Beautiful! Is that Brown Betty teapot? Thank you. No, it is a 6-cup (1100ml) Price & Kensington teapot.